The more you know and understand the background of your audience and their needs, the better you can prepare your blog post. Use Google analytics to look for blog posts with high traffic and low bounce rates. Check those posts for consistencies in the headlines, titles, and content. That’s why people are coming to your website and what they are reading. Finally, great topics come from asking your readers what they want to read about. Focus on making your readers happy, and you’ll have a great blog. Build on topics that have previously proven popular or have sparked a lot of comments on social media and on your blog. 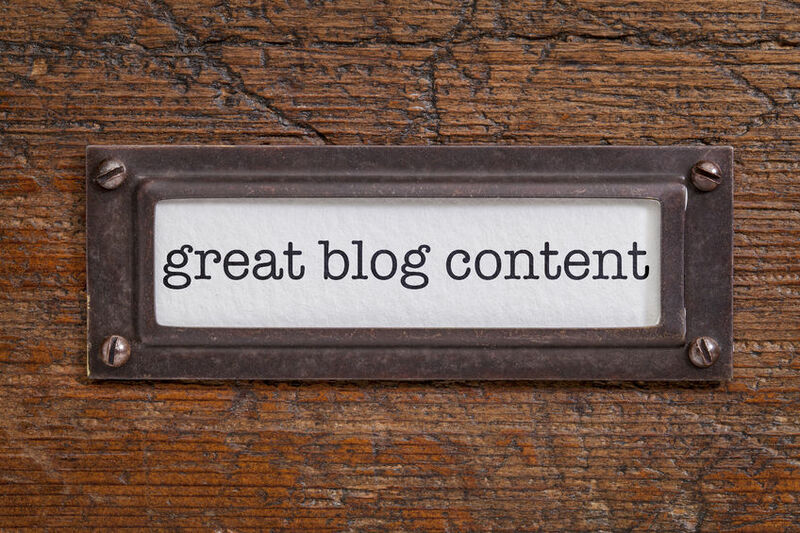 Visit competitor blogs and check out what they are publishing. Pay attention to those posts that got a lot of comments and a lot of social media engagement. Start researching on Q&A sites like Quora to find out what people what to know about your business. Check out Yahoo! Answers to find more questions people care about. This may seem boring. But if real people are taking the time to ask the questions, why not take the time to answer them. Check out my post on blog topic ideas. After listing a few possible blog topics, settle down and expand on your ideas. Each of your potential blog topics can be expanded to reveal deeper and more complex topics. Let’s say that you are writing on the subject of website design. Expand on your ideas and create a highly targeted blog post. Once you feel confident about your blog topic you are ready to start working on your outline. An outline is to help you organize your blog content, checking to see if and how your ideas work together. Before you get stated you should know your topic, figured out your main points, and written a captivating introduction to grab your readers. The trick is to organize your content so readers are not overwhelmed by the length or amount of content. The organization can take multiple forms — sections, lists, tips, graphs, whatever’s most appropriate. But it must be organized! Try to be as knowledgeable on the subject as possible. If you are blogging about your business treat the post as a conversation with a client. Try to use simple words and keep it easy to read. Avoid the temptation of pointlessly pecking with no enthusiasm. If writers block is an issue, organize a messy drawer or file things in alphabetical order. Using left side of your brain frees up your right side to work through your ideas. Your first draft is not your final draft. Take time to read through your blog post out loud for flow and structure problems. Reading out loud allows you to spot certain issues through sound that would be unnoticeable if you did not verbalize them. Further refine your post by sending it to a colleague. Outside perspective is a good way to gauge the viability of your content. If your colleague finds issues with your blog post, ask them for notes on how you can improve it. A call to action is an offer to your readers meant to provoke and immediate response, usually by using action verbs like “get more traffic”, “find out more” or “save money today”. Your blog should relate to your business, your blog post should directly relate to your offer which will organically target traffic looking for your services. Don’t miss this opportunity to convert your readers! Page optimization is important for raising the visibility of your blog post for search engines. After you create your blog post, insert your keyword phrase throughout the blog post in specific locations (i.e. URL, title tag, H1, H2, emphasized text in the body of the post, alt tags on images). 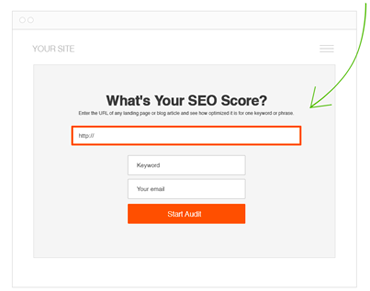 Use my free seo tool to grade your blog post, make corrections and then run the report again to check for improvement. Don’t partake in filling your blog post with so many keywords that it becomes difficult to read. Not only will this irritate your readers, it will also get you penalized by Google. A couple of strategically placed keywords will do the trick. The right headline can improve your click through rate and inform the reader of what they are going to read. If possible incorporate words people would search on Google to find your blog post. If you are having trouble writing headlines check out these headline formulas. You don’t have to know a lot about blogging to generate traffic to your website. By using the 9 tips above before you publish a new blog post, you’ll ensure that you are setting yourself up for blogging success. If you have any other blogging questions please ask them in the comments section. Perfect tips! It is important that you write for your readers’ interest. Putting yourself in their shoes could be of big help as well as doing so will let you visualize what they would want to read from you. Making it fun and interactive could give you points too. Try ending up your article with a question to keep the conversation going. Could you please share some of the open source tools you use to analyse your visitors behavior? Also, if there are wordpress plugins that makes the job easy. Hey Jamie, If you have time sign up for our SEO forum and ask more detailed questions. Link: https://www.seomechanic.com/register/. We can also track the conversation better. how create new blog by wordpress?